This book is enhanced with content such as audio or video, resulting in a large file that may take longer to download than expected. Now with this enhanced edition, readers can gain additional insight through video interviews, audio excerpts and letters from C. S. Lewis. First published in 1942, The Screwtape Letters has sold millions of copies world-wide and is recognized as a milestone in the history of popular theology. 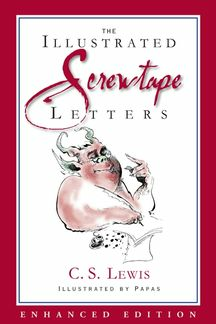 A masterpiece of satire, it entertains readers with its sly and ironic portrayal of human life and foibles from the vantage point of Screwtape, a highly placed assistant to “Our Father Below.” At once wildly comic, deadly serious, and strikingly original, The Screwtape Letters is the most engaging account of temptation—and triumph over it—ever written.